Tag Archives for " Jay Baer "
John Jantsch: With all these fancy marketing channels we have, still today, the most potent form of marketing is the original form of market, word of mouth. In this episode the Duct Tape Marketing Podcast, I visit with my friend Jay Baer. He’s got a new book called Talk Triggers: A Complete Guide to Creating Customers with Word of Mouth. Check it out. Hello and welcome to another episode of the Duct Tape Marketing Podcast. This is John Jantsch and my guest today is Jay Baer. He’s the President of the global consulting firm, Convince & Convert. He’s also the author of Hug Your Haters and Youtility. I think both books that we had him come on the Duct Tape Marketing Podcast and talk about at some point. 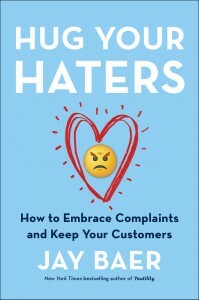 But he’s got a new book with the co-author, Daniel Lemin, called Talk Triggers: The Complete Guide to Creating Customers with Word of Mouth. Jay, welcome back. 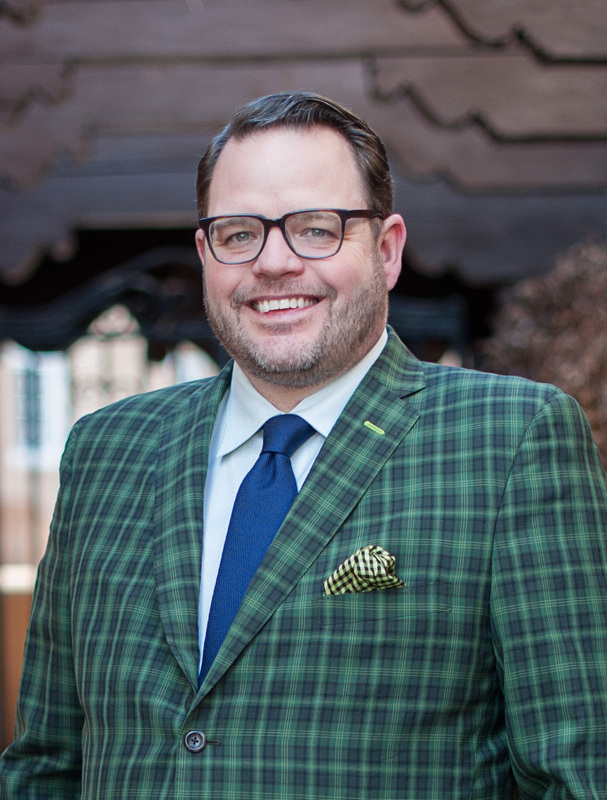 Jay Baer: My friend, it is fantastic to be back here with the Duct Tapers. I appreciate the time. We should mention at this top of the show here that you are quoted liberally in this book, Talk Triggers, because you are a very smart man and at some level it’s the idea of referrals and you certainly have a handle on that. Thank you for your contributions to the book. John Jantsch: Well, thank you for starting with that, because I had a questioned cued up here for you, if you quoted any smart marketing people. That was going to be my opportunity, but you just did it for me. John Jantsch: It’s funny, until you said that, I hadn’t really thought about it. Word of mouth’s probably the original channel, right? Jay Baer: It is the only channel. Imagine before you had Papyrus, or Hulu, or Snapchat, word of mouth was the only game in town. John Jantsch: I’ve heard you and seen you define a talk trigger as a strategic operational differentiator that compels word of mouth. You want to unpack that? Jay Baer: Yeah. I mean, a talk trigger is not marketing. Maybe we should just end the show right there. It is not marketing. It’s not marketing. It is an operational choice that creates a marketing advantage. It is something that you do differently, not something that you say differently. I’ll give you a quick example if I may. One of my favorite examples from the book is a restaurant in Sacramento, California called Skip’s Kitchen. Skip’s is a counter service restaurant, so you go to the counter and you order two patty melts, and chocolate shake, and onion rings, and they bring your food to your table when it’s ready. Pretty simple concept. These guys have a line to get in almost every day. They were just named the 29th Best Hamburger Restaurant in the U.S. by USA Today newspaper. Yet John, they’ve never spent a penny on advertising in the 10 years they’ve been open. They’re able to do this because they have made an operational choice. They have a talk trigger. They have a differentiator that creates conversation. Here’s how it works. Before you pay, you’re at the counter, you make your order. Before you reach for your wallet, they say, “Hey John, I got something for you to try.” They whip out a deck of cards from under the counter and they fan the cards out faced down in front of you. They say, “John, pick a card.” You select a card and if you get a joker, your entire meal is free, whether it’s just for yourself or for the entire soccer team that you just ordered for. Now, on average three people a day win. When they win, they go crazy. They’re taking patty melt selfies, and they’re calling their mom, and there’s all kinds of social media, and a high school marching band plays. It’s very exciting. But that’s what propels this business forward. People tell that story over, and over, and over. So much so that even though there’s a big neon sign out front that says Skip’s Kitchen, people in Sacramento typically call it, “That joker restaurant.” It’s a choice, right? It’s an operational decision that they made that creates marketing, but it’s not a contest, it’s not a coupon, it’s not a campaign, it’s not a promotion. It’s none of those things that we typically associate with marketers. It’s not even content. It is an operational choice. Jay Baer: That’s really good. Jay Baer: That’s a really good one. John Jantsch: We’re not shouting and taking … In fact, I did take a picture of that, of course, and share it on social media. John Jantsch: But it can be simple things, can’t it? Jay Baer: It actually should be simple things. One of the tenets of the book, Talk Triggers, is that it has to be reasonable. Sometimes in marketing we want to go for the big, right? We want to do surprise and delight, we want to do this whole huge crazy thing, because it’s so competitive and attention is hard to come by and so we feel like the way to get attention is to do something dramatic, and bold, and crazy. That can work, right? Surprise and delight can work, but it’s not a strategy, right? Surprise and delight is not a word of mouth strategy. It’s a lottery ticket, right? It’s a publicity stunt. What I love about your idea with, “You’re a goddess,” piece of paper is that really meets two of the conditions that we talk about in the book. One, it’s reasonable, right? It’s a small. Two, it’s repeatable. I presume that every garment that they sell has that piece of paper or some piece of paper in it. It’s not just every once and a while, or just on Thursdays, or on your birthday. Everybody who orders at Skip’s Kitchen gets a chance to play the joker game. Talk Triggers must be repeatable as well as reasonable. John Jantsch: Talk a little about, you mentioned it, but talk a little bit about the research that went into kind of your conclusions. Jay Baer: We did four different research projects for this book actually. We did a national study of the impact of word of mouth on purchases and voting behavior. That study is called Chatter Matters, which was actually released today out of media embargo. That’s got all kinds of charts, and graphs, and data points. One of my favorite findings in that piece of research, John, is that 66% of Americans would trust an anonymous online review more than they would trust a recommendation from an ex-boyfriend, which I think is genius, right? Word of mouth matters, unless it’s your ex, and then it doesn’t matter at all. Jay Baer: Huge. You have no idea who this person is. John Jantsch: That’s right, that’s right. Jay Baer: But we don’t care. We’re like, “If it’s on the internet, it must be true.” We did the Chatter Matters research. We did a bunch of social media, deep social listening research around individual talk triggers and how much they surface in social media conversations. Then we did two deep, deep, deep studies on two of the organizations that we profile in the book. One on DoubleTree Hotels and one on the Cheesecake Factory restaurant to examine how effective their specific talk triggers are at generating chatter amongst their customers. For example, listeners may know that the DoubleTree Hotel chain gives you a warm chocolate chip cookie when you check in. They’ve been doing that every day for 30 years. Each day now they hand out 75,000 warm chocolate chip cookies per day. That’s a lot of cookies. Well, we talked to 1,001 DoubleTree customers and found that 34% of them have mentioned without being asked, have mentioned that cookie to somebody else in the prior 60 days. Which means that approximately every day 25,500 mention the cookie, which is one of the many reasons why you don’t see much advertising from DoubleTree because the cookie is their advertising. See, the best way to grow any business is for your customers to grow it for you. You know that, you’ve written about that extensively. I could not agree more. The problem is, everybody knows that to be true, but then they don’t give their customers a story to tell. A talk trigger is the story that you want your customers to tell one another and everybody can do it, they just need to figure it out and go do it. John Jantsch: You went to that DoubleTree and the cookies were cold, or just weren’t there, or somebody said, “Yeah, we’re not doing that anymore.” I mean, it almost has the opposite effect, doesn’t it? Jay Baer: Absolutely. That’s why it really is an operational choice. One of the things we talk about in the book is how important it is to get everybody in your organization, large or small, on the same page. While it’s common that talk triggers and word of mouth programs like this will initiate with marketing, everybody’s got to be on the same page; sales, operations, customer service, because everybody’s got a pull on the same rope here for this to happen and for it to be delivered consistently. John Jantsch: Since you mentioned operational, I’m going to use the S-word, system, for this and you have a very nice tidy four, five, six system. Again, I’m not going to ask you to spell out every aspect of that, but let’s talk about the four … No, let’s go with five. Let’s go with the five types of talk triggers. Jay Baer: It helps, I think, to have this taxonomy, to think about what are we trying to achieve here. Because a talk trigger is really just something that defies expectations. In fact, in the process one of the things that we really recommend is doing some research of your current customers to determine what it is that they expect, because if you know what they expect, then you know what they don’t expect, right? That’s really the raw materials for your talk triggers. There’s five different types, five ways that you can execute a talk trigger. The first one and the most common one is talk about generosity, where you’re more generous than your customers expect. Free cookies at DoubleTree is certainly an example of that. Winning a free meal at Skip’s Kitchen if you pull a joker is an example of talk-able generosity. That’s the one you see the most in the wild, John, because it’s the easiest to implement in your operations. Another one is talk-able responsiveness. This is where you are faster than your customers expect. This can have tremendous winning benefits for your organization. It is perhaps the hardest one to do though, because expectations around a speed get higher, and higher, and higher every year. What was fast three years ago is average today, so that one’s a tough one to stick, but when you can do it, it works really, really well. The third one is talk-able empathy, which frankly, wouldn’t have even been in the book three years ago, because as you well know, treating customers with empathy, with humanity, with kindness was the default state in a business for the entirety of my career and yours until recently. But I think I can say now without any degree of irony that we are now in an era of empathy deficient. Where both in politics, and in life, and in business the default state is no longer kindness, and warmth, and humanity. When you can still play that game, right? When you can still treat your customers disproportionately well, it actually is disproportionate at this point, and it can create a lot of chatter and really be a winning word of mouth strategy for your business. That’s talk-able empathy. The fourth one is talk-able usefulness, where you’re more useful than your customers expect you to be, similar to the book I wrote called Utility. Some of those same ideas are in that one. The fifth one is talk-able attitude, which is my co-author Daniel Lemin’s favorite category. That’s when you just do things a little different, right? You’re just a little askew, a little askance. You’re just a little wacky, a little wild. One of my favorite case studies, it’s not in the book, because we learned about it afterwards. There’s a bar in Great Falls, Montana, which is out of the way, even by Montana standards. This bar was just named one of the top 10 bars to fly to by GQ Magazine. In Great Falls, Montana. Here’s their talk trigger. Every night between 9PM and midnight, they have a giant aquarium behind the bar, live human mermaids swim behind the bar from 9:00 to midnight. Now, you cannot possibly go to that bar and not have a conversation with somebody about that afterwards. That is a good talk trigger. John Jantsch: What’s interesting as I wrote all these down, I mean, none of them saw you’re more active on Facebook, or that you have great ads, right? I mean, they’re all operational things in a lot of ways. John Jantsch: Or culture things, maybe. We would say some of them, but I think it really hammers that point home. Jay Baer: There’s two things there. One, it’s important to know that the research shows, and this is research from engagement labs, that 50% of word of mouth is offline and 50% of word of mouth is almost exactly the same is online; social, review sites, etc. Now, our research in Chatter Matters shows that the impact of offline word of mouth, that you and I talking right now on Skype, or an email between the two of us, or a face-to-face conversation has more impact than a social media recommendation, just because the nature of that relationship and one-on-one. But half and half, offline versus online. Then the other thing, is you talked about Facebook ads or anything else, that’s where the sixth step in the process where you have to amplify your trigger comes into play. If you’ve got a talk trigger, what you want to do, not all the time, because then it gets a little yucky, but every once in a while you just want to remind people. You just want to connect the dots for them. One of the examples we use in the book that I think is really … It’s just very intuitive, is Krispy Kreme doughnuts, right? Krispy Kreme doughnuts has hot doughnuts, right? They just make them out of the assembly line, but in every single Krispy Kreme location they have a giant blinking red neon sign that says, “Hot now.” They have a hot now light, right? When you see that light driving by, you’re like, “Oh yeah, fresh doughnuts. That’s their talk trigger. That’s their thing, right?” They use the sign to remind you of their differentiator and that’s a good way to do it. That’s where you use social and other forms of advertising and marketing to just remind people that you do have something that’s a little different. John Jantsch: I’m imagining some listeners sitting around going, “Gosh darn it, that Jay is so smart. We need to do that. Let’s create a viral stampede into our business, right?” Remember everybody first started talking about viral videos and stuff that they wanted to create. How do you really authentically create … I mean, if it was a simple saying, “Let’s do a talk trigger and the world will beat a path our door,” everybody would do it. How do you do it in a way … How do you at least brainstorm, just start coming up with what would be your authentic talk trigger? Jay Baer: We don’t really think of talk triggers as a virality mechanism, because when I think viral, I think fast growth, rapid spread. That’s not what a talk trigger does. Talk trigger does consistent reliable spread over time. A talk trigger is a word of mouth strategy. A viral campaign is a lottery ticket. It’s not the same thing, right? You may have a similar impact, but once your viral thing is over, what do you have left? You have the memories of your viral thing. DoubleTree’s have the same talk trigger, the warm chocolate cookie for 30 years. 30 years, right? It’s a different kind of way of thinking about it. But the first step, the first step in the whole thing is to understand your customers better. We really recommend that people looking to implement a talk trigger do some interviews with customers, specifically new customers, longtime customers, and ideally lost customers. What you want to do is take your customer journey map, sort of the different inflection points that you had with each customer, and then you say, “Okay. At this step, when we sent you our proposal, what did you expect would happen?” Then you just write all that stuff down. When you do that, what you have is an expectation map, because once you know what they expect, then you can figure out what they don’t expect. John Jantsch: That seems like something everybody ought to do anyway. Jay Baer: Yeah, it really … It’s a good point, right? It seems like a good … Even if you’re not going to build it into a word of mouth strategy, it’s probably good information to have. Jay Baer: It is a danger. Yeah, it happens. John Jantsch: Chocolate chip cookies maybe. Jay Baer: Yeah. I mean, you would think … In most cases, right? You would think that if you’re going to roll it out you would know if it’s already in the market, right? You would know, “Hey, somebody’s already doing this, so maybe we should or shouldn’t.” But sometimes you roll one out and then everybody’s like, “Hey, that is a great idea.” Then they rush it and copy you and now it no longer works. The example of that we use in the book is Westin Hotels. You may remember, John, this is … I don’t even know how many years it was. I’m going to say five, maybe it’s longer. Westin came out with this thing called the heavenly bed and they put a ton of money into trying to convince us all that they had the best beds in all of hotel-land. Well then, Hilton Garden Inn did the same thing, and Marriott did the same thing, and Hyatt did the same thing, and somebody else got the Sleep Number bed. I think it was Hyatt. Then everybody’s got a fancy bed, and so then their talk trigger no longer worked. They basically just got co-opted out of it. That sometimes happens. It is a danger, which is why in the process of talk trigger ideation, we always recommend coming up with five to eight ideas, and then you score those ideas on a matrix we created, which is 50% talk-ability; how interesting is it, and 50% viability; how operationally difficult is it to execute. Then if one gets stolen, right? Your competitors, say, they match you and you can’t do it anymore, then you go back to the list and you just try another one. John Jantsch: We’ve sort of been talking about, what I would call, core talk trigger for an operational … Core talk trigger for a business. Theoretically, couldn’t a product, or a service, or even a person have a talk trigger? Jay Baer: Yes. Definitely a person, no question. There’s a lot of “personal branding,” implications for this work, no question about it. At the product level, yes. However, you have to make sure that if you’ve got, let’s say, three different talk triggers, one for each of your three main product lines, that if all three of those stories get told it doesn’t confuse anybody, or they do not create conflict, or some lack of congruity. You just have to make sure that if you’re going to roll out a talk trigger for a division or a product that if you’re going to have multiple, that it all kind of adds up. Because you don’t want to end up having your stories fighting against one another. John Jantsch: Yeah. It might just be that if that’s ingrained in the culture, it may just actually be a design decision that goes … As cliché as it is to say, I would like to think sometimes, at least one point in their life, apple head that. That they sort of intentionally built a talk trigger maybe even into the design of their product, but that was sort of based on their overarching aesthetic. Jay Baer: Yeah. That’s where you sort of get this Venn diagram of talk trigger versus what is actually your brand, right? For example, on the DoubleTree side, right? The warm chocolate chip cookies is the talk trigger, but their brand positioning is the warm welcome. Even within the pantheon of the 14 Hilton brands, DoubleTree’s thing is the warm welcome. They put a tremendous amount of time and effort on staff training and lobby design to sort of own that 10 minutes between when you walk into the hotel, between then and when you walk into your room. That gap, that 10 minutes is what they want to own, and so the cookie ceremony makes a lot of sense in that context. John Jantsch: Jay Baer, I could talk to you all day long, but I better let you go. But we are talking about Talk Triggers: The Complete Guide to Creating Customers with Word of Mouth. Jay, where can people find out more about what you’re up to? Jay Baer: If they go to talktriggers.com/ducttape, talktriggers.com/ducttape, we both show a little landing page for your listeners, we’re going to give you the six step guide to how to build your own talk trigger. Because I want people to do this and when you do it, please let me know, because we’re always looking for new examples. The book, of course, has a lot more detail, but if you just want the cheat sheet, go to talktriggers.com/ducttape, download the six step process guide and get started tomorrow. John Jantsch: That’ll be, of course, in the show notes. Kind of on a final note, I won’t say this was intentional. I didn’t think this was a talk trigger, but people over the years have responded to the name of my business, Duct Tape Marketing as a bit of a talk trigger. Jay Baer: Oh, absolutely. It would be so simple for you to lean into that skid, right? And do something with duct tape, or what have you, to sort of extenuate that differentiator. John Jantsch: Absolutely. Jay, thanks for joining us. I know I’m going to see you soon. This book’s out in September of 2018, depending upon when you’re listening to this. Go check out Talk Triggers. Jay, we’ll see you soon on the road. Jay Baer: Thanks, my friend. 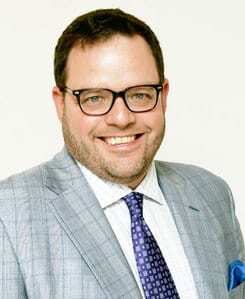 My guest this week on the Duct Tape Marketing Podcast is Jay Baer. He is the founder of Convince & Convert, a digital strategy consulting firm and a New York Times best-selling author of six books. Baer is also a highly sought-after emcee and keynote speaker, an entrepreneur and founder of five multi-million dollar businesses, and has served as an advisor to more than 700 companies and organizations, including Caterpillar, Nike, and The United Nations. He is a go-to source for various national media outlets including NPR, USA Today, TIME, and Real Simple. On today’s episode, we discuss his latest book with co-author Daniel Lemin, Talk Triggers, which provides brands with a guide on how to create an effective word-of-mouth strategy for their business. What are the five types of talk triggers? How should a talk trigger relate to a company’s brand? What elements are essential to creating an effective talk trigger. Why the best way to grow your business is to let your customers do it for you. How to use more traditional forms of marketing to remind people of your talk trigger. 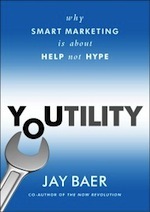 Marketing podcast with Jay Baer – author of Youtility. Integration and convergence are the two concepts I’ve been drilling on most for the past few years. Quite frankly, marketing has always worked better when integration is considered, but today’s markets, buyers, humans want and expect more than consistent messaging across platforms. What’s driving the market today? 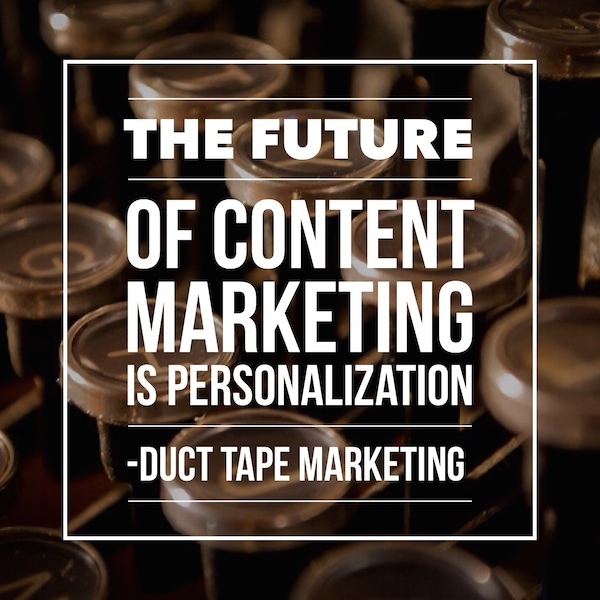 People want and expect content that is educational, useful and personalized. People want and expect to join and participate in community in addition to completing transactions. Organizations that get this, that foster this and that build marketing strategies and campaigns that take full advantage of this, will build customer loyalty and word of mouth lead generation in ways that cannot be matched by competitors trading on lower price. More is not the answer – better integration is. You don’t need more content, more followers, more engagement, more marketing – you need all of these things to work together more effectively to create a more useful experience for customers and prospects. Below are a handful of key questions and suggestions related to each of the four drivers leading the marketing challenge today. Content – The best path to increased long tail SEO and customer loyalty – Key Question – How can you use existing and new content to create engagement and opportunity? Content based autoresponder series – series of videos on how to do X.
Dynamically displayed content based on search term. Utility – Using marketing to be more useful – Key Question – How can you make your marketing so useful people would pay for it? This is the point where I need to tell you that this week’s guest on the Duct Tape Marketing Podcast is Jay Baer, founder of Convince and Convert and author of Youtility: Why Smart Marketing Is about Help Not Hype . Baer’s book is chock full of ideas and campaigns from brands that get this idea in a big way. Youtility is a quick read and a must read if you want to start adopting a mindset of usefulness and true integration. If you want to explore this important driver in-depth you must pick up this book. Social – Increase sharing and decrease search engine dependency – Key Question – How can you use social media to increase friend reach and create new customers? Community – Leverage referability to build trust and awareness – Key Question – How can you turn your customer base into a vibrant community? And the biggest question of all – How can you create more integration and convergence?